During the twentieth century, colossal human tragedies occurred — among them the Holodomor, the Holocaust, the Srebernica Genocide, the Rwandan Genocide and the genocide of the Yazidis. Our focus here will be the study of a genocide known as “The Ho­lodomor,” a word that in the Ukrainian language means “death inflicted by starvation”. 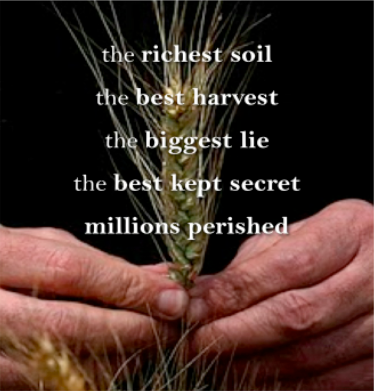 Millions of men, women and children were slowly starved to death in the early 1930s through the imple­mentation of a policy to take away the food from the largest segment of the Ukrainian nation, the farmers. The term “Holodomor” is often used to encompass the starvation of the farmers as well as a broader assault on the Ukrainian nation, which included an attack on the cultural, religious and political leadership of Ukraine, most of which was at that time under Soviet rule. Thus, the largest non-Russian ethnic group with­in the Soviet Union, the Ukrainians, were decimated, putting an end to their aspirations for autonomy and independence for decades. The Soviet regime that conducted this genocide denied its existence and terrorized its own population into silence for generations. Thus, this huge crime nearly disappeared from world awareness. After the demise of the Soviet Union in 1991, archives in Russia and Ukraine were made accessible that for decades had been closed to scholars. Researchers are now able to study documents and materials that confirm the motivations of the Soviet leadership in the 1930s regarding Ukraine and the conduct of its regional leaders during the Holodomor. This has led to a greater understanding of this tragedy, in­cluding its far-reaching consequences for present-day Ukraine. 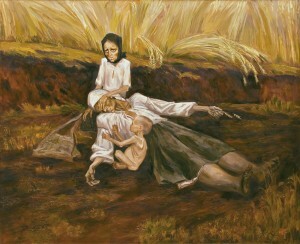 What: The term “Holodomor” – which means inflicted death by starvation – refers to the man-made famine caused by Soviet policies that resulted in death by starvation of millions of Ukrainians in 1932-1933. When: 1932-1933. 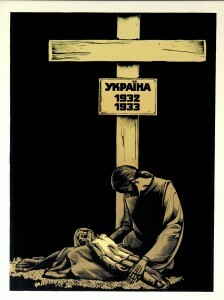 At the time of the Holodomor, Ukraine was a republic or province of the USSR. After Ukraine’s briefly achieved independence in 1918-1920, Ukraine was conquered by the Red Army and was incorporated into the Soviet Union in 1922.
Who was affected: the population of Ukraine, mostly farmers and their families. 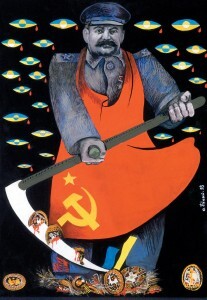 Who were the perpetrators: The Communist Party of the USSR led by Joseph Stalin. 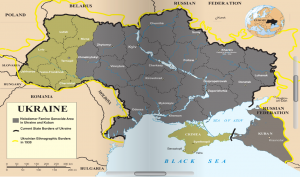 Where: Ukraine, specifically the territory of central, southern and eastern Ukraine and the Kuban, a territory in southern Russia, adjacent to Ukraine that was heavily populated by Ukrainians. The elimination of kulaks/kurkuls (successful peasants) – the leaders of the villages. Policy of dekulakization – stripped farmers of all possessions (land equipment, produce, livestock), whole families were arrested and deported (some executed). Collectivization – individual peasant farms (5,000,000) were forcibly combined into collective state farms known as kolhosps (25,000). First Five-Year Plan (1928-1933) set high quotas for the amount of grain to be collected by the Soviet state. Kolhosps that were unable to meet quotas were punished by the seizing of all food and the blockading of the village, leaving its resident to starve. This blockading and starvation as punishment happened to over one third of the villages in Ukraine. Rebellions by Ukrainian farmers were ruthlessly put down by army and secret police. Direct population losses by starvation in June 1933, at the height of the Famine, were at least 28,000 deaths per day in Ukraine, 30 percent of them children. Many of the documents in Ukraine were destroyed by Soviet authorities and exact numbers are still being determined. Change in demographics of Ukraine – Among those brought in to settle the abandoned villages and depopulated regions in Ukraine were Russians and Belarusians. The policy of Russification and denationalization in Ukraine made Ukrainians second-class citizens on their own territory, enforcing a ‘Soviet identity’ and Russian language onto the Ukrainian population. Loss of collective memory – Ukrainians were denied their own history, culture, and knowledge about the Holodomor for generations. Only since 1991 and the independence of Ukraine have Ukrainians been free to express fully their Ukrainian identity. Elimination of Ukrainian leadership – 80 percent of the intelligentsia were destroyed in the 1930s and often replaced by Soviet non-Ukrainian officials. Ukraine is still a prime target for Russian expansionist objectives, as is illustrated by the events in Eastern Ukraine.